C T R Stables LLC. and Steven Keh's Fight On, a 10-1 outsider, lived up to his name with a hard fought victory by a nose over fellow longshot Casino Star in Sunday's $150,000 Fifth Season Stakes at Oaklawn Park. He completed the 1 1/16-mile race in 1:44 3/5 over a good track. Fight On improved his record to 4-3-2 from 17 starts and has now earned $310,411. The 3-year-old Into Mischief colt returned $22.00, $11.60 and $9.00. Live racing resumes at Oaklawn Thursday, April 18. The 2019 season continues to Saturday, May 4. 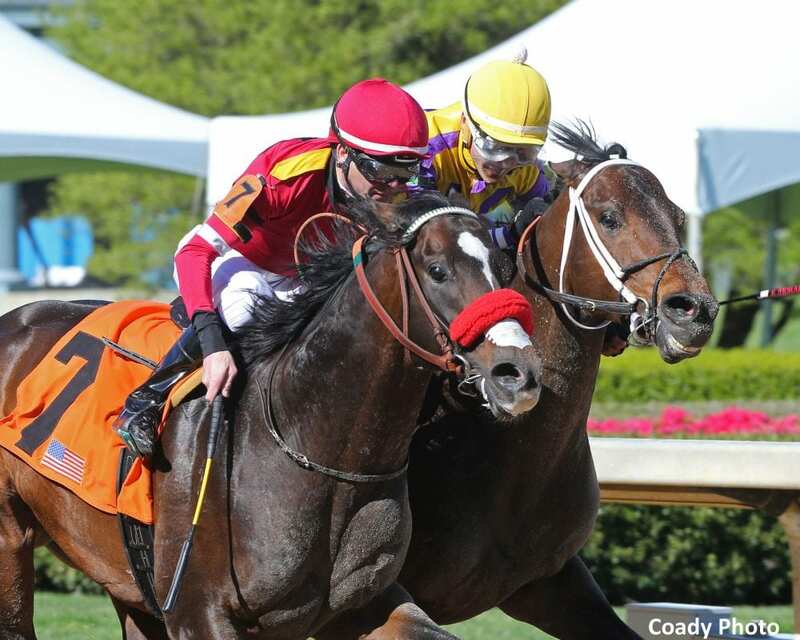 This entry was posted in Racing and tagged doug o'neill, fifth season, fifth season stakes, fight on, Horse Racing, Oaklawn, oaklawn mile, tyler baze by Press Release. Bookmark the permalink.